Germany’s Sonnen wants to create a world in which everyone is able to meet their power requirements using cost-effective decentralized and smart clean electricity systems that generate and store energy close to the point of consumption. The sonnen battery solution is the means to that end. Engineered and made in Germany; Sonnen’s home battery storage solution, sonnenBatterie Eco, is a part of realizing that vision – and is now available in Australia. NEW : Now also available with automatic blackout/backup power option! Sonnen has evolved to become the largest home battery supplier in Europe, with more than 2,600 units sold in the first quarter of 2016 and 30,000+ systems shipped overall. Energy Matters is always offering good deals on the newest models of the sonnenBatterie system – either as part of a full solar + storage system or a retrofit to an existing installation! Stock can be limited, so act now! We offer the latest models from sonnen – some other companies are still selling the discontinued versions. Call our friendly storage experts on 133-SUN for a price on a fully system or retrofit; or submit for a quote online. Internal inverter manufactured by leading European company, Ingeteam. Call our friendly team on 133-SUN to learn more. The sonnenBatterie Eco is an elegant battery system; but don’t let its modern, sleek design deceive you. This is a tough battery, ideal for home energy storage applications in Australia. This space-saving unit can be yours at a very affordable price, has many features and offers ample storage – from 4kWh – 16kWh in 2kWh increments – and without needing to upgrade the built-in inverter. Thanks to its modular approach, you can easily build on the system as you require by adding battery modules from Sonnen. Avoid the rush and order your sonnenBatterie Eco today at very special price from Energy Matters! Call our friendly storage experts on 133-SUN or submit for a quote online. In July 2017 sonnen announced that its would be offering sonnenFlat in Australia. sonnenFlat will give eligible homes (both new users and existing sonnenBatterie compatible solution owners) flat price electricity from just $30 a month, all day and night, even when the battery is flat and it’s the middle of night or cloudy overhead! It’s another game changing shift from the global leader in home battery technology. It promises a quantum leap in the solar and electricity utilization and valuation paradigm in Australia. Discover more about sonnenFlat and this amazing flat price electricity offer. Don’t export your high value solar electricity for a few cents per kilowatt-hour when you can store it and use it later on as needed. The sonnenBatterie will help you reap the maximum benefit from your rooftop solar panels and take more control over your mains grid energy use. The sonnenBatterie is a complete system; consisting of the best quality battery modules, an efficient inverter, an intelligent energy manager and the software to ensure it all runs smoothly and at peak performance. This is “plug and play” energy storage. The sonnenBatterie Eco features a self-learning algorithm that determines the best times to charge and supply. NOW AVAILABLE! With the added Sonnen Protect unit, the system can sense power outages in real-time and automatically switch over to battery power. In a blackout, you could be the only house in the street with power. Prevent your valuable cold and frozen food items from spoiling! Learn more about Sonnen Protect! As well as supplying power in the evenings and early mornings, where Time of Use (ToU) metering applies you can take advantage of “rate arbitrage”. Store energy when it’s cheap and run your home off the sonnen battery when electricity prices are high – without any time-consuming or confusing fiddling. The sonnenBatterie Eco is guaranteed for 10,000 cycles or 10 years – providing you peace of mind that your battery system is built to last. This is the best home energy storage warranty around – considerably more generous than competing products! For example, a 6kWh home battery system will have up to 16.43kWh of daily discharge capacity under warranty in a multiple cycles per day scenario. Sonnen has been shipping these battery systems since 2008 – it’s a thoroughly tried and tested energy storage solution at a very affordable price. Monitoring and controlling your energy usage and production is a snap with the sonnenApp. Using your mobile phone or tablet, you can view your system’s performance from anywhere there’s an internet connection. The sonnenAp will even show you the level of energy independence you’re achieving! Sonnen was a 2017 Zayed Future Energy Prize winner, taking out the Small/Medium Enterprise (SME) category; the first German company ever to do so. The company has also been included in MIT Technology Review’s “50 Smartest Companies 2016” and the Cleantech Global 100 2015/2016/2017 lists. The latter also won sonnen a Continued Excellence Award. Sonnen won Greentech Media’s 2016 Grid Edge Award for innovation, and Cleantech’s 2015 Company of the Year Award in Israel and Europe. Australian owners of this battery system will soon be able to participate in Sonnen battery initiatives that enable you to trade electricity with other owners – learn more here! While other Australian retailers may be selling older sonnenBatterie versions, Energy Matters has limited stocks of the latest model (8.2). Seamlessly integrating with solar power, thousands of sonnenBatterie products are already operating throughout Europe and performing flawlessly. 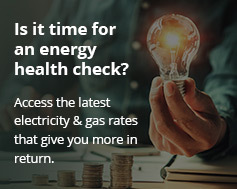 Couple this proven performance with Energy Matters, which has been installing energy storage solutions throughout Australia for much of its decade of operations, and you’ll have the reassurance of extracting the best possible return from your battery investment. Call our friendly battery experts on 133-SUN for prices or submit for a quote online. Dimensions (cm) W/H/D 4 – 8 kWh: ~ 137/64/22 (all approx). Dimensions (in) W/H/D 10 – 16 kWh: ~ 184/64/22 (all approx). Lifespan / Warranty* Guaranteed lifetime of 10,000 cycles or 10 years. All systems will be subject to switchboard review and customers must have a stable internet connection and suitable load bearing wall space. Contact the Energy Matters team on 133-SUN to discuss home suitability.